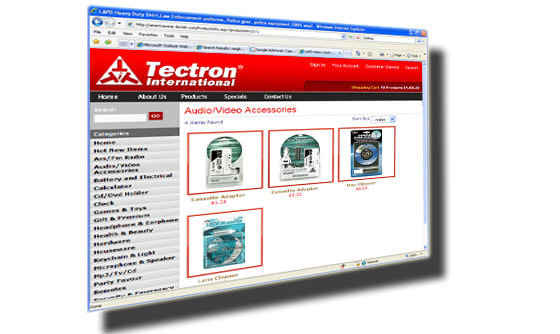 Tectron Int. 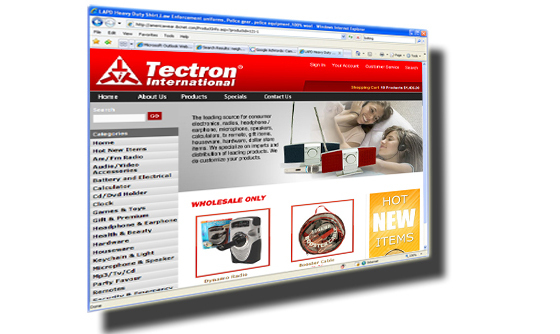 is a major wholesaler of consumer merchandise and electronic store items. IBCnet was chosen to revamp their current design and develop a customized online catalog catering to specific showcase needs. 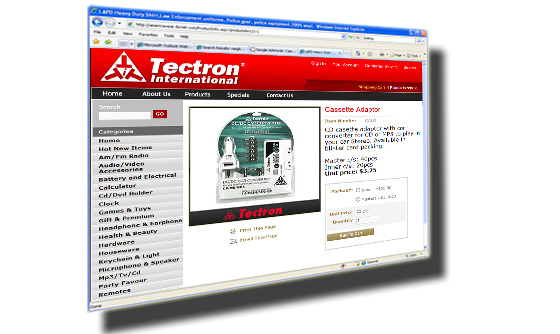 Using our preferred Content Management System and expertise in web development, we planned and developed a customized solution making it an efficient website built around Tectron's specific needs. ASP.NET 1.1, MSSQL, IIS, VB.NET, Flash, CSS, HTML, and Java.